Song: "Spirit Of The Night"
What a surprise to hear that the San Marinese broadcaster RTV has decided to send a singer who has already represented San Marino three times already: Valentina Monetta! She has been the singer in 2012, 2013 and 2014; this year in Kiev it will be her fourth participation. Together with the composer Ralph Siegel this combo is known as San Marino at Eurovision! Ralph Siegel is known for his ESC achievements and is also called “ESC guru”. This year Valentina is going to be accompanied by the male singer Jimmie Wilson from the USA. The 42 years old Valentina was born in San Marino; her parents come from San Marino and Italy. She graduated from high school for arts in Rimini, Italy; she has no musical academic background, but has been singing at an early age in several bands, plays the piano and has a talent for improvisations. Valentina has a passion for Jazz, R&B, Pop and Italian music. She already released her first album in which she composed the music and written the lyrics all by herself. Her biggest music influences are coming from Ella Fitzgerald, Billie Holiday, Joni Mitchell, Whitney Houston and Caterina Valente. Valentina has already tried to enter the ESC in 2008 with the song “Se non Ci Sei Tu”, but the group Miodio has been chosen as first San Marinese entry with the song “Complice”. Jimmie Wilson was born in Detroit, USA and is a musical singer, who lives in Frankfurt, Germany. He studied acting in Hollywood and joined a gospel choir, his first major role was in the musical “Sisterella”, and he also starred as Barrack Obama in the musical “Hope”. This year’s song for San Marino is going to be a fast pop song which is called “Spirit Of The Night”. The video clip is mainly showing the singers dancing in a night club atmosphere. The gathering of song title in the lyrics appears a bit unusual and less authentic. The composition clearly shows the signature of Ralph Siegel in regards of rhythm, arrangement and overall impression, it’s not modern though. This happy dance song will definitely bring more musical alternation in this year’s ESC, but this entry is a few years too late. San Marino has joined the Eurovision Song Contest in the year 2008. With the song “Complice” by Miodio, San Marino made a wonderful debut. Unfortunately, San Marino came last – a truly undeserved 19th place in the Semi Final. 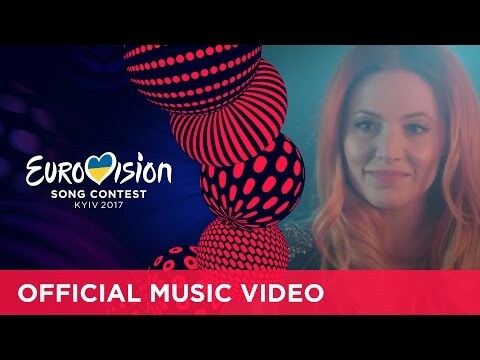 Only once San Marino made it into the Grand Final with Ralph Siegel’s composition “Maybe”, sung by Valentina Monetta in Copenhagen 2014. Last year Serhat could not get into the Grand Final either with his dance song “I Didn’t Know”. This year it’s going to be the eighth time in the ESC for the small country. Of course in such a small country with only 32.000 inhabitants the local music scene is not very big, this is dominated by the Italian music market. Therefore foreign composers have been invited such as Ralph Siegel, who has composed four songs for San Marino from 2012 to 2015, and this year as well, so it’s his fifth attempt to succeed for San Marino. In recent years also other micro states tried their luck in the ESC like Andorra and Monaco. None of them reached the Grand Finals unfortunately. It was always said if San Marino is going to win the ESC someday the contest will be held in the Italian neighbour city Bologna.